Meet Leo: Leo is a 25-year-old entrepreneur and a native of Lagos. He believes he will be a fan favourite because he is good looking and intelligent. His favourite colour is black and he enjoys eating jollof rice and fried turkey a lot. Unless he becomes dangerously ill, he has no plans to quit the show. 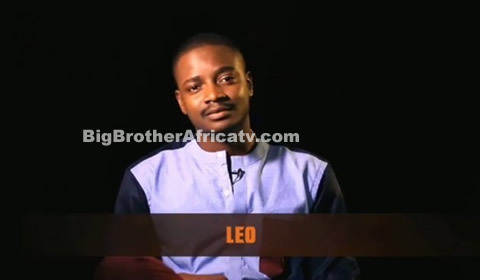 Leo enjoys playing basketball and is a fervent supporter of Premier League football clubs. He is still pained that his father didn’t live to see him graduating from university. With his good looks, intelligence and secret math skills, Leo believes he can “solve everyone’s problems”. If he was an animal, the fiercely protective Leo would be a lion “to defend” his family, his mother, three sisters an brother.